Quran for Kids | One to One Teaching With an Experienced Tutors because We offer a 24/7 platform on the online education courses for Learning Arabic and Quran for Kids and adults.Young boys and girls around the world can benefit from learning the Quran and Arabic for children without leaving their homes. The Quran & Arabic programs for kids were designed especially for those who have difficulty joining Masjids regularly, to learn the holy book of Allah. All you need is a personal computer or a laptop with a microphone and a fixed telephone, and a high-speed Internet connection to take advantage of this facility. We offer one to one online Quran learning for our students. We accept children over 4 years of age to return to the Quran Easy Learning Program. The Quran for children is a compulsory education for every Muslim child. A child must learn Masnoon Duas, Islamic prayers and Islamic values that have their appointment. Once they have begun to regularly take our Quran classes online, they will quickly grasp it. Alhamdulillah, we organize 1 to 1 course of the Holy Quran via Skype. So, that students from any part of the world can learn the rules of Tajweed, according to their timing and rhythm. This helps parents also to watch their children learn Islam in front of their eyes. Your child will learn Quran and Islam from the comfort of your home. No driving/pickup required for the Masjids or the neighboring Islamic Center. Learn Noorani Qaida to understand Arabic alphabets. Learn basic playback readers, easily. Learn the Quran with the rules of Tajweed. Learn the basic Islamic teachings (Islamic and Islamic prayers). Get the free downloadable Quran for children in multicolored, Noorani Qaida and Islamic children’s storybooks. Get a Quran tutor of your choice either female Qaria or Qari male. An exclusive online teacher for your child. Our male or female teachers are available at your leisure hours. Simple online Quran lessons for children without leaving the premises of your home. Post questions and solve your doubts during online learning courses via a voice call with your tutor. Quran Learning For Kids is an excellent structured program that allows your child to learn the Qur’an online without leaving the comfort of home. We offer courses 24 hours a day, online. 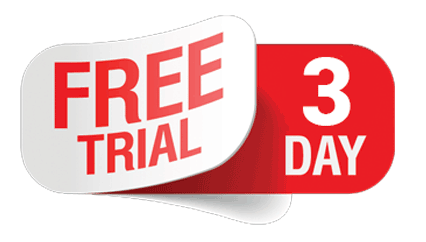 You can try three FREE trial courses to evaluate our online learning service. Thereafter, you are able to decide whether to continue or interrupt learning with us. In the busy world of today, most parents are too busy in their own lives they are very useful in teaching their children the art of reading the Quran. Nevertheless, the importance of reading the Holy Quran can not neglect the law? At The Quran Courses Academy, we offer Quran learning classes for kids. By simply signing up for your children with our website, we will make learning the Quran for children easier than ever. Keeping children motivated about reading the Quran is the biggest challenge these days and you can be assured we will respond to that. The ideal way to learn the Quran for children is to listen to the instructions of the Quran’s lines Read with precision. With our experienced teachers of the Quran and our men, your children will hear the Quran verses with a perfect pronunciation. This makes learning much easier and perfect at the same time. The requirement of children who are heard is really important when it comes to learning the Quran for children as they need to be corrected with a perfect pronunciation. Are we in a position to be corrected, are we? Our Quran tutors are all the ears of your current children recite Al-Quran and corrections in a timely and effective manner. Sign up for your children with us today! Quran teaching for kids with the Quran courses Academy which is an online Quran teaching academy for kids and adults. Provide teaching and services of the Qur’an 4 years ago on Skype. Because we provide one to one for the Quran course. Student gets his private teacher. The course includes learning the basic Quranic alphabet to learn advanced Quran, Memorization, Tajweed rules, Memorization of the last 20 Surah. And (on request) 40 small memorization hadiths and 40 Duaas, Salah Memorization (Prayer), methods and Wudhu ghusl and all necessary Islamic principles. Learn from Live Quran Tutor in real time on Skype. All classes are one by one. No CD, DVD, video, text files required. I am the teacher of the Koran. I teach tajweed, hifz and recitation. * Graduated from the Faculty of Commerce at Ain Shams University in 1997. * More than 3 years teaching Quran and tajweed at moalemi ul Quran. * Teach online Quran and tajweed to non-Arabs with Noor al-byan teaching children for one year. * worked as a teacher of Quran and tajweed at the iqraawarattel institute for 2 years. * Ijazah of tajweed of the Al rhmman institute for Hafs an Asem. * Ijazah connected to the prophet Mohamed and sanad with rwayah hafs and aasim. I have ijazah by Warsh a nafea and Qalon a nafea. One of the greatest actions is to learn the Book of Allah, the miraculous book whose miracles do not expire. It does not lack its unique character. The Arabic language has been chosen by Allah to be the language of the Holy Quran and to contain its meanings. It is an honor for every Muslim to study the Koran and the Arabic language in order to worship Allah properly and correctly. Therefore, it is an honor for me to have studied the Koran and the Arabic language and to teach them. * graduated from jamiya darul uloom karachi pakistan 2013. * 2 years teaching Quran and tajweed at Masjid Tayyibah Institute face to face. * worked as a Qur’an and tajweed teacher at the Darulquran Institute for a year. * Ijazah of tajweed of the institute jamiya daruloloom for qira’at ashr. I am Ahmed Meslhy from Egypt, but I live now in German. Al Hamdulliah, I memorized all of Holly’s Quran from 7 years old and I have 5 licenses “Ejaza” in the Quran in “Hafz a’n Asem” in “Alshadibiyah” and “Tyyebat Alnashr” and I started at “Warsh a’n Nafe” “”. and I have Ejaza in several Tajweed books. I will help you inshaallah in recitation, Hifz, Tajweed and speaking in Arabic. I have specific ways to help you. Al Hamdullah I took my Ejaza from some of the best Quran teachers in Egypt. and my Sheikh took Ejaza from several shiookh around the world. I worked in “Online Institute” to teach Quran and Tajweed to Americans. Al salamuAlaikum w Rahmatullah w Barakatoh. I graduated from Al-Azhar University as a dentist. I am a demonstrator at the faculty of dentistry. I have Egaza of ‘Asem Hafs’. I started emama since I was thirteen. I had 10 years of experience teaching Quran specifically for children. I am ready to start teaching tajweed instructions and ready to help you revise and memorize the Qur’an. All you should have is strong to learn the Quran recitation and little understanding in English or Arabic. I did my Saudi Hifz-e-Quran Alhamdulillah, and I certified it from Jamia Kheriah. I am dedicated, sincere, hard working Quarn-e-Kareem and Tajweed Teacher. I have 6 years of teaching experience. I can easily teach Quran-e-Kareem with Tajweed, so I decided to devote my abilities to serving Ummah. Teaching is the work of the prophets and also a respectable profession. I am committed to achieving excellence and motivating my students towards achievement. Enthusiastic Quran teacher fluent in English and French, with a strong Tajweed background. Easily cultivates trust and productive relationships with students, parents, and teachers. I started learning Tajweed 10 years ago in Tunisia. Then I received an online tutoring by Egyptian and Tunisian teachers who have Ijazahs with Qadha MashaÄLLAH, then I was enlisted in the Quran Academy in Saudi Arabia for a year, with Ijazah on reading Hafs An Asim, and on reading Qaloon An Nafii. My name is Tawfiq Ahmed , I am Egyptian, I have lived most of my life in Saudi Arabia. my mother tongue is arabic, i grew up in a conservative family that has a big impact on my education. As a result, I memorized the Qur’an when I was 14 years old. I took a lot of tajweed and pronunciation lessons like Jazria, tofat al atfal and ijaza (unfinished). Besides, I attended the school. Quran since I was little until I graduated I then started to learn the Quran after continuing my studies in Turkey, it is a great honor to teach the Quran and I really want to get this honor teaching what I know to others to be included in the best people as a prophet. May peace be on him. I am Farooq Adel , Quran teacher. It is my great honor to teach the Quran. I have been teaching as a home tutor for 2 years. Our prophet said “خيركم من تعلم القرآن وعلمه” Translation: “The best of you are those who learn the Koran and teach it”. Also, as a Muslim, it is our duty to learn the Quran, to understand it and to reshape our lives according to its teaching and to preach its teachings. I completed my Hifz at a very young madrassah in Pakistan, I also graduated Hafiz from Wifaqulmadaris Arabia Pakistan and a special certificate from Hifz e Quran given by Mufti Abduraoof Skharvi. I have 4 years of experience teaching Quran to students as a private tutor. I lead Taraweeh prayers every Ramadhan in my area. I thought of many students where they became Hafiz e Quran in a short time. I can interact and encourage people of all levels. Creative minded can offer practical solutions for student problems. Very imaginative with many innovative ideas. I won several Qirat competitions and got certificates. I will be able to satisfy parents as much as I can INSHA ALLAH.